The role of citizens from the former Soviet republics in jihadist extremist organizations has often been overlooked, but this is changing. In 2017 terrorists from Central Asian countries carried out attacks in the United States, EU countries, Turkey and Russia, so the spotlight is turning on jihadist radicalization in the region. While most of the jihadists in the attacks in question were Uzbek nationals, Tajiks too have played significant roles in jihad outside their homeland. 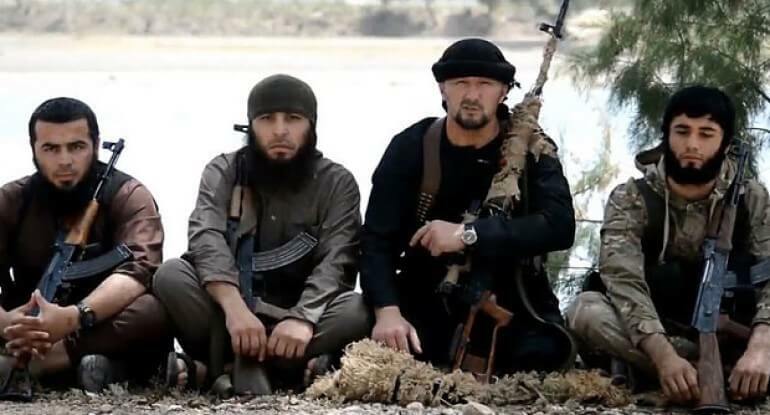 The presence of Tajiks in the ranks of the self-styled Islamic State (IS) has been substantial. They made up a large contingent of foreign fighters (1,141 according to the latest estimate) and have carried out a surprising number of suicide bombings for IS. Tajikistan is a mountainous country populated by around eight million people, the majority of whom are Muslims. Despite the fact that economy has been growing in recent years, large swathes of the population remain impoverished and many of its citizens depend on remittances from other Tajiks who have emigrated, mainly to Russia. Right after gaining independence from the USSR, the country was ravaged by a civil war that lasted from 1992 to 1997. The war pitted pro-government forces against a coalition of democratic, Islamic and various smaller ethnic groups known as the United Tajik Opposition. The war was essentially a clash of clans and warlords seeking to gain more power and expand their influence. In the end government forces and the current President, Emomali Rakhmon, were victorious. The effects on the civilian population were catastrophic – between 10-20% were displaced and somewhere between 25,000 and 100,000 people were killed. Since the end of the civil war, Islam’s influence on the country has been growing, with an increasing number of people becoming observant, despite the fact that the authorities have heavily regulated the religion and promoted a “good” state-sponsored version of Islam. In fact, the government has implemented several repressive measures in recent years. Salafism was banned in 2009 for reasons of national security. In 2011, studying in foreign madrassas without a permit was criminalized. In 2012, imams were given instructions on which sermon topics were approved and which were banned. In 2015, the government outlawed the Islamic Renaissance Party of Tajikistan (IRPT), a hitherto legal opposition party which had been part of the opposition forces during the civil war. While the threat of Islamic extremism in the country is concrete, analysts argue that its strength has been overemphasized by the government and that the measures taken have largely been counterproductive, as open political and religious expression have been greatly limited. In particular, it appears that extremist circles have simply been pushed underground, and that socio-economic conditions in the various Tajik oblasts have bolstered radicalization in some Tajik communities. The last major verified jihadist terrorist strike in the country dates back to September of 2010, when a car bombing attack on police officers in the city of Khujand left 4 dead and 25 wounded. Tajik radicalization can be characterized by discrete levels of radicalization at home and an important trend of radicalization of Tajik nationals abroad. Tajikistan is a natural transit point and this is a key factor. Bordering on Afghanistan to the south and Uzbekistan to the west and north, it serves as a vital node for the smuggling of opiates from Afghanistan. Afghanistan accounts for roughly 90% of the world’s opiate production and 80% of its output is channeled through Tajikistan). This trade is largely controlled by Taliban Uzbek militants and they have established significant roots and settlements in the country, especially in the north. The main groups operating in Tajikistan are the Islamic Movement of Uzbekistan and the Islamic Jihad Union, which have mainly been involved in recruitment operations in the country. The focus for kinetic activities has mainly been in Afghanistan and Pakistan, where Central Asian militants have been fighting alongside the Taliban and al-Qaeda for years. The two organizations’ operations inside Tajikistan have been degraded over the years. This is in part due to government repression. Another key factor is the emir Usman Gazi’s pledge of allegiance to IS in 2015, which drew scores of fighters from Central Asia to the battlegrounds in Syria and Iraq. In fact, Tajiks have played an important role in Syria and Iraq. In 2014, it was estimated that only around 200 fighters had left to join IS. But the latest number provided by the authorities is much higher -a total of 1,141 fighters, an enormous figure for a country of 8 million. 94 nationals have returned and 780 have been placed on a wanted list. Furthermore, according to a study released recently by the ICCT, in the period between December 1st 2015 and November 30th 2016 the majority of suicide-vehicle attackers were Tajik nationals. One of Tajikistan’s most notorious foreign fighters was Gulmurod Khalimov, a former deputy commander of the country’s police special forces. Khalimov left for Syria to join IS in 2015. He rose through the jihadi ranks, reportedly becoming a “key leader”. According to rumors, he may have replaced Omar al-Shishani, the Chechen Georgian IS leader. Like Khalimov, al-Shishani had served his country in the Georgian Armed Forces before joining IS. During his time in the police special forces, Khalimov participated in five different training sessions arranged by the US State Department. Three of the sessions were held in the US and one was run by the company formerly known as Blackwater. Then he became an enemy of the US. In response to his move to IS, the US government offered a $3 million reward for information regarding the Tajik. Russian authorities later claimed that Khalimov had been killed in an air strike in Deir Ez Zor in September 2017. While Tajikistan remains vulnerable to jihadist extremism due to its proximity to jihadist hotbeds, preexisting networks and difficult socio-economic conditions, it appears that the central radicalization issue is the diaspora abroad, led by Tajiks living in Russia. More than a million Tajiks work in Russia as seasonal workers, along with countless other immigrants from the other former Soviet republics of Central Asia. Money sent back to Tajikistan accounts for no less than 52% of the country’s GDP. Most of these individuals are marginalized and live on the fringes of society in precarious conditions. This predicament can create fertile ground for radicalization. Often these individuals have little formal understanding of Islam and are particularly susceptible to jihadist ideology, which can offer a sense of identity and solidarity, in line with radicalization processes seen in Europe. This was the case of Akhtam Olimov, a 25-year-old Tajik who was detained in Iraq in 2014. Olimov had left his family in Tajikistan to find work in Russia, but then he shocked relatives when he emerged in a video interview on Iraqi TV following his detention by Iraqi authorities. Similarly, 24-year-old Alisher Qodirquov returned to Tajikistan after having spent more than a year with IS. Qodirquov man had traveled to Russia along with his wife and two children to work as a laborer. During his stay in Russia, Qodirquov claimed that he was approached by a Chechen man who promised him a better life in the Middle East. Qodirquov was pardoned upon his return to Tajikistan as part of a government plan to pardon Tajik foreign fighters who voluntarily leave the jihadist group. Around half of the returnees have been pardoned while the others have been arrested for being mercenaries. Similar trends can be seen among citizens of other Central Asian countries living in Russia. Uzbeks, for example, exhibit comparable radicalizing dynamics and a number of Uzbeks who traveled to Syria and Iraq had previously lived in major Russian cities. The phenomenon of Central Asian radicals is a particularly pressing issue for Russia, as evidenced by the April 2017 bombing of the St. Petersburg Metro. The attack was carried out by Akbarjon Jalilov, a 22-year old Kyrgyz national. The threat appears even more worrying considering the fact that Russian speaking jihadists from the Caucasus, Central Asia and Russia itself have often found themselves fighting together in Russian-speaking battalions in Syria and Iraq. This has allowed them to establish important connections which could have potential consequences once these individuals leave the areas of conflict.